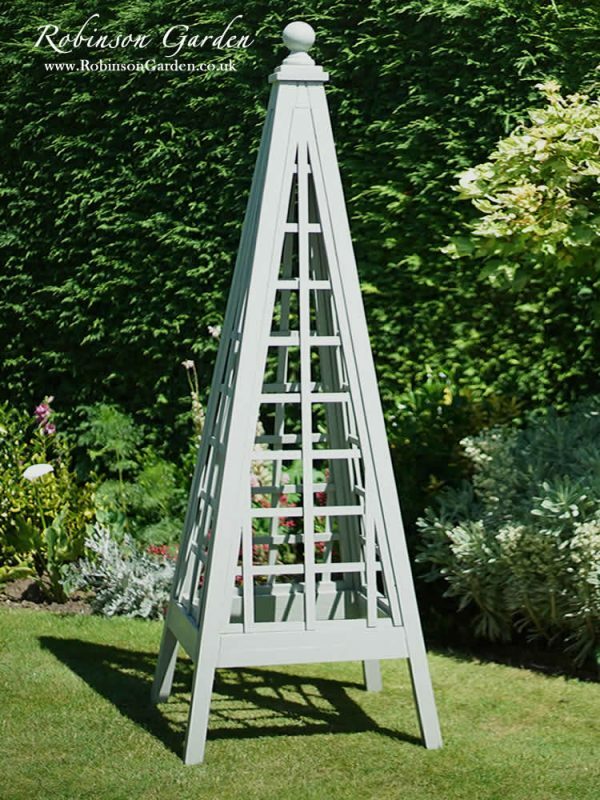 Beautifully finished with a trellis on all four sides allowing smaller climbing plants to climb and take full advantage of the bespoke wooden obelisks height. 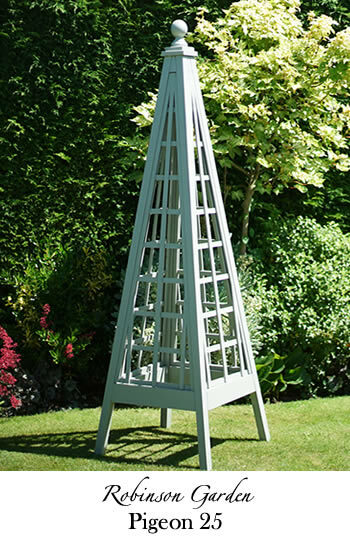 We recently took delivery of a 7ft Obelisk. 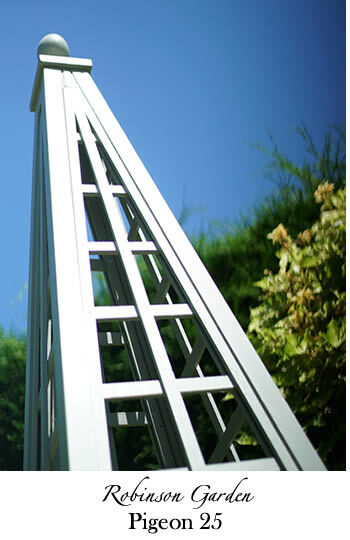 It is a wonderful product, very sturdy and well made. 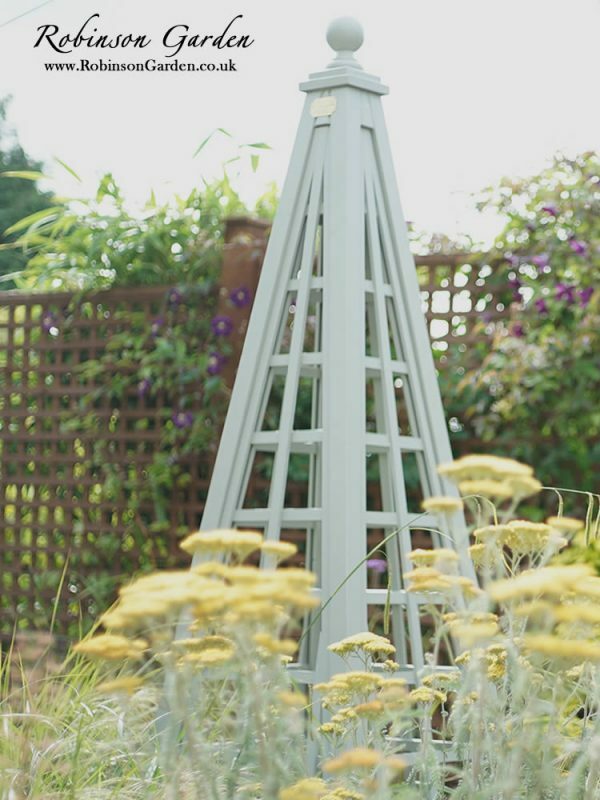 It will make an excellent addition to our cottage style garden.